Situated in West Africa is the heart-warming country of Burkina Faso. This country is home to over 18 million residents who provide the destination’s warm welcome. 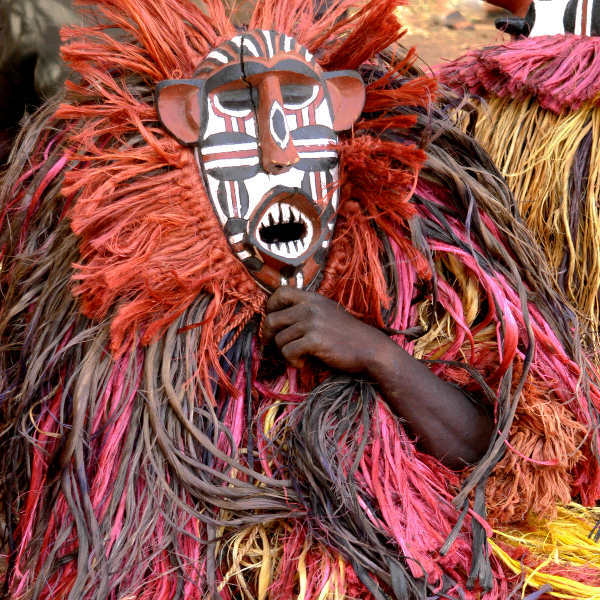 Burkina Faso offers you iconic natural scenery, unique architectural achievements and a thriving arts scene. 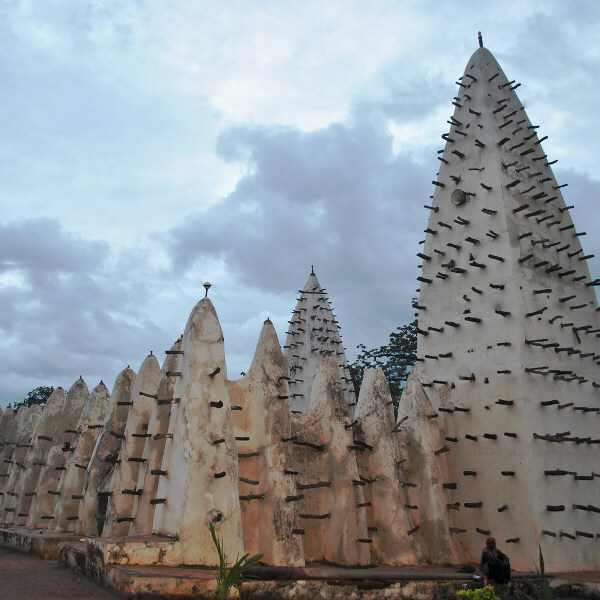 The top attractions include Les Cascades de Banfora, Nazinga Game Ranch in Ouagadougou and Mosque of Bobo-Dioulasso. Get ready for a memorable African adventure, because cheap flights to Burkina Faso are now available for a limited time! The capital, Ouagadougou, is the home of Ouagadougou Airport (OUA), which is a 5-minute drive from the city centre. Burkina Faso accentuates Africa’s natural treasures with a range of beautiful scenes. Discover various landmarks that will refresh your senses, such as the Peaks of Sindou, the Waterfalls of Banfora and the Park of Bangr Weogo. The architecture in Burkina Faso is reflective of the country’s exceptional character. Some of the best examples include the Bobo Dioulasso Grand Mosque and the Commercial Bank of Burkina Faso in Ouagadougou. The Burkinabé carry on this nation’s proud tradition in the arts and entertainment scene. Treat yourself to Burkina Faso’s authentic literature, enjoy theatre performances and admire the top-quality art on display in its energetic cities. Burkina Faso experiences little variation in temperature throughout the year with the highest rainfall during the summer (June – September). For the most comfortable holiday experience and the cheapest flights, visit Burkina Faso between the months of October and December (mid-spring to early-summer). Avoiding the rain would be best, since the combination of rain and heat will create uncomfortably humid conditions. The nation of Burkina Faso is often overlooked as a holiday destination and is definitely worthy of being added to your bucket list of places to visit around the world. 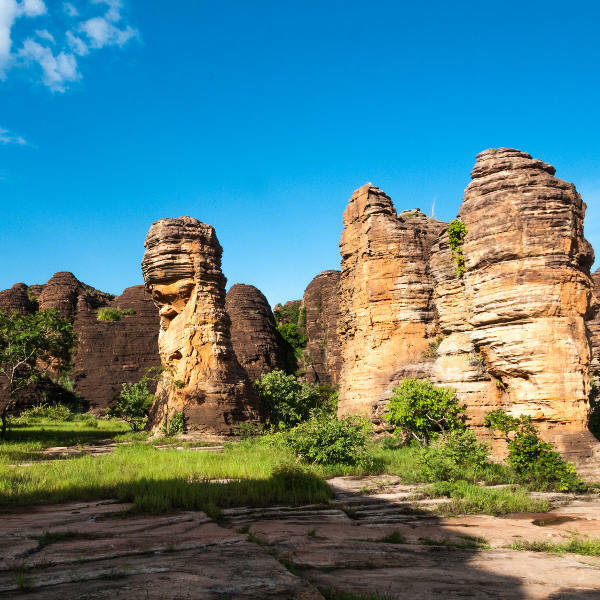 Thanks to the warm welcome of the friendly Burkinabé, you can look forward to spending a wonderful time in the country, which boasts charming attractions. Burkina Faso is home to enchanting scenes, such as the panoramic Karfiguela Falls and the iconic geological formations at the Peaks of Sindou. For animal lovers, make sure to spend some time in the Nazinga Game Ranch and Ziniare Park. Then, of course, there is the vibrant arts scene of Burkina Faso, especially highlighted in its two biggest cities: the capital, Ouagadougou, and Bobo-Dioulasso. Ouagadougou, alternatively known as ‘Ouaga’, is arguably the country’s arts and entertainment hub, with its dance and concert venues, theatre companies and gorgeous handicrafts. Admire the skill of the locals at the Laongo Sculpture Symposium and Village Artisanal de Ouagadougou. The biggest event in the capital is the Panafrican Film and Television Festival (Fespaco), which takes place every odd-numbered year. Bobo-Dioulasso, known by its residents as ‘Bobo’, may be Burkina Faso’s second-largest city, but it’s where you can relax in its small-town charm. Take leisurely strolls along its tree-lined streets, which help to create a calm, semitropical ambience. In the evening, discover a different side to this city, by enjoying Bobo’s exciting live music scene and quality restaurants. Compare several airlines and book your cheap flights to Burkina Faso online at Travelstart! Burkina Faso enjoys a high level of safety. In the bigger cities, however, beware of thieves, especially pickpockets and bag snatchers. Try not to carry a bag in such places and keep your belongings out of sight and in a secure place. Should you have a camera, it’s best to keep it in an ordinary bag to avoid being targeted as a tourist. Beggars are commonly found in the city streets. Avoid incessant begging by simply saying no.